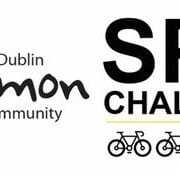 Dublin Simon Community are calling on students to get on their bike for their upcoming Simon Spin Challenge, which takes place on Friday 21 April on Grafton Street from 11am-7pm. The fundraising event will see teams from various different colleges and universities around Dublin spinning on stationary bikes for a total of eight hours over one day. This fundraiser must raise €10,000 to fund Dublin Simon Community’s programme to support people, who have experienced homelessness, to rebuild their lives and pursue education. Speaking about the initiative, Sam McGuinness from the Dublin Simon Community said, “The journey from homelessness to a home is much more than putting a roof over somebody’s head. Students will compete in a Battle of the Colleges on the day. Each team will consist of eight spinners who will cycle for a total of two hours each. The team that travels the furthest and raises the most money will claim victory and will win some sought after prizes. Spot prizes for extra challenges on the day will also be up for grabs! The Simon Spin Challenge is a fantastic way to have fun, keep fit and help raise vital funds for a great cause! If cycling isn’t your thing, you can still give people who are homeless an opportunity to get an education by bucket shaking for your College Spinners on the day. To take up the challenge for homelessness and become the winning college, email Grace Allen at: Grace@dubsimon.ie or call the Fundraising Team on 01-671 5551 and they will be able to show you how to set up your own JustGiving page for the event. Each team also needs 10-12 bucket shakers to cheer on their spinners and collect vital funds throughout the day. This fundraiser specifically aims to raise €10,000 to fund Dublin Simon Community’s third level education grant for clients using our services who wish to pursue further education.